Placerville gained solid ground in the gold rush era, and was actually named after the areas where gold tended to accumulate (called placers). 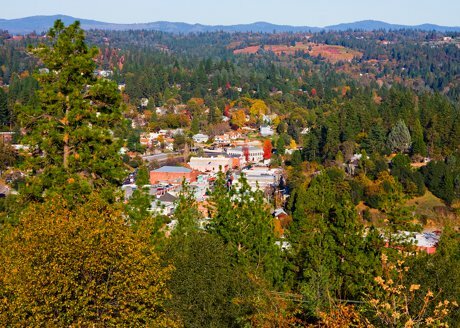 Located between Sacramento and Lake Tahoe, Placerville real estate is diverse and a growing community, home to just over 10,000 residents. The town is registered as a California Historical Landmark. Downtown Placerville fills with small town fun many weekends as events draw residents together as a community. From car shows to brewfests to dance festivals and crafts, there is definitely something for everyone in this active town. The artist Thomas Kinkade is widely acclaimed as having lived in Placerville and his art can be found displayed downtown as well. Other nearby activities include the Placerville or "Hangtown" Speedway and local wineries. The Mediterranean climate so typical of California is found here,too, explaining the exquisite wines developed regionally. A variety of restaurants serving all different tastes are located downtown, and locals recommend well-known favorites such as Sweetie Pie's and Cascada, along with mining adventures at Hangtown's Gold Bug Park and Boa Vista Orchards. Learn more details about this tucked away town and Placerville real estate by visiting in person or through exploring the Placerville city website. Listing courtesy of Tomorrow Real Estate.